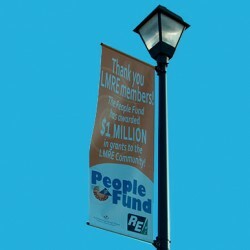 Make Pole Pocket Banners and Splice Banner Media Without Sewing or Welding! For more information about our products, call us today at 1-800-869-9601. 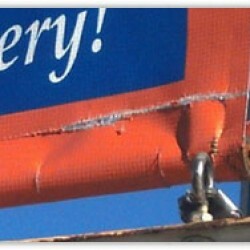 Will PoleTape stick to all banner media? 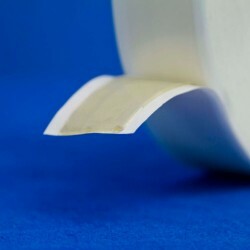 While PoleTape is extremely aggressive we have found that some low-cost media have non-adhesive receptive films on the backside. 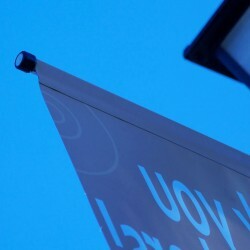 We recommend pre-testing PoleTape with the media and conditions you intend to use. Please contact us for a free sample roll. 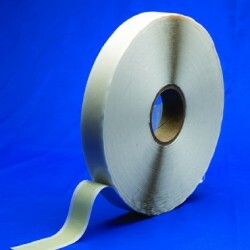 What is PoleTape’s temperature range? 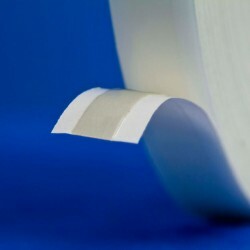 PoleTape is a rubber based adhesive and that’s where it gets its extremely high tack. One downside to this is that the rubber-based adhesive has a narrower use temperature range (Temp range 0-140 F). If your application is expected to be at the extremes of this range PoleTape may not be the best option. Please feel free to request a free sample to test.